from the west coast of teh Baltic Sea for this interesting album ! Here's the track listing and information about recording and release for you Liz. This album seems to be completely unknown, even in his discography in Allmusic.com. Anyone know where to find the 2 last albums of Mick Softley, 'Mensa' and 'War Memories'? You post so many great records I have trouble keeping up--but thanks for this and many another. 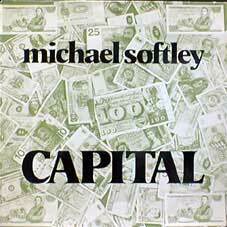 Hello, Just a line to thank you for Mick Softley's Capital. I've picked up all his other recordings over the years, but I've never seen this one anywhere! hi there whats the password for mick softley capital files? great to find some info on these rare mick softly albums. im trying to get my hands on this one but the download link didn't work. anyone who can help me get this rare album?